Sony is a pioneer when it comes to great headphones. The sound quality of its headphones is always good. Sony WH-H900N headphone is also loaded with great features like noise cancellation, great battery life, and amazing sound quality. The best part about this headphone is the app connectivity. You can connect the headphone with the Sony app and integrate all the features. This actually saves a lot of time and you get many added features to choose from. Sony WH-H900N headphone has a high-resolution audio compatibility. Any sound or any music genre is clear and crisp with this type of compatibility. The headphone features a touch sensor control panel. This is actually great while you are traveling. With the touch of your hand, you can operate all the features of the headphone. The headphone features a compressed mode that lets you hear the sound quality clear. If you compare this with other similar models in this range, then the sound is indeed a plus point. It’s purely designed for your music and it does the job pretty well. The Bluetooth wireless connectivity of the headphone is also good. This also makes the headphone well liked and popular. With so many amazing features, this headphone certainly has a different vibe. For a true music experience, you can consider the headphone. Sony WH-H900N headphone has a Hi-resolution audio sound that offers complete clarity. You can hear your playlist for hours without any distortion or any kind of disturbance. This actually makes this headphone most popular in its league. Is it for gaming needs? Well, yes you can use the headphone for your gaming needs. The sound is clear and crisp, so you will not face any problem with the high-frequency base of the headphone too. It’s also ideal for your regular use or studio use. Traveling should not be a problem now. With this headphone, you can hear your music loud and clear. As the headphone features active noise canceling feature, it blocks the sounds around you giving you a great audio quality. The ambient sound mode actually lets you control what you hear. If you want to enjoy your music all alone, you can turn on this feature. You can turn it off when it is not required. The headphone can be easily integrated with the Sony app. You can control all the features from the app. This also puts your Smartphone to use. You must buy this popular headphone for its soundproof control and its stylish looks. There are many great features of Sony WH-H900N headphone, let us look at some of the key features. 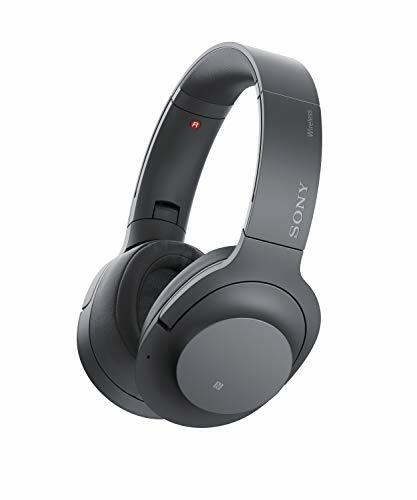 Sony WH-H900N headphone lets you experience digital music with High-Resolution audio when connected via supplied cable and integration. Hi-Res audio offers a great rendition for music lovers. You can hear every sound clear and crisp with this feature for sure. The headphone features LDAC™: for the transmission of High-Resolution Audio content. This supports some transmission rates according to your wireless surroundings. It allows you to hear close-to High-Resolution Audio content in outstanding sound quality by transmitting at the greatest transfer rate. It’s a great choice for music lovers. Sony WH-H900N headphone has comfortable ear pads. It does not create any kind of pressure or clamping. The design can be folded so it becomes easy to carry along. The headphone features digital noise canceling. Digital noise canceling reduces ambient noises when listening to music. You can switch on this mode and enjoy hours of great music without any disturbance. It also blocks low-frequency noises around you. The feature is best in class and this makes the headphone popular as compared to other headphones available. The soundproof technology of the headphone is simply great. The headphone has quick attention mode for effortless conversations. You can not only enjoy talking hands-free but also hear your music with a touch of a button. So, it’s multifunctional in need. Sony WH-H900N headphone features touch sensors to play and skip tracks, manage volume by a simple tap or swipe on the ear cups. This actually saves a lot of time. The headphone is popular for the touch sensor feature it offers. It has a battery life of up to 28 hours (with wireless and noise canceling). This is amazing for the price it offers. It allows you to listen to uninterrupted music for hours at a stretch without the need to charge your battery every time. You can charge the battery with a simple plug. The battery is also replaceable so you can do that when in need. Near Field Communication (NFC™) and Bluetooth® technology of the headphone makes connecting to your music quick and simple. When you touch the enabled device to the headphone, you get a flawless connection. The streaming function of the headphone is also good. The headphone includes a carrying case too. The headphone though sturdy has thicker ear pads. Ear pads play a very important part in the overall comfort and fit of the headphone. Sony WH-H900N headphone has decently sized cushion that is neither too heavy nor light in weight. The frame of the headphone is hard and that can cause some clamping if you wear it for a longer time. The headphone can also cause slight compression around your ears. If you need to wear it for a long time, then you can readjust the headphone accordingly. The overall fit seems to be ok. It fits well if your head size is big. The noise-canceling feature of Sony WH-H900N headphone is average if you compare it with other high-end models that are available in this price range. However, it does not mean it’s completely off. The experience with noise canceling is good depending on your environment. If the place is not too crowded, it will surely work fine. There can be some leakage while traveling too. In the bass range too, there is no complete isolation of the sound. This is the feature where it underperforms. The rest of the features make up for this feature though. There are better choices available if you only need the headphone for noise canceling. The design of the Sony WH-H900N headphone is stylish with large ear cups. The headphone features a touch-sensitive control scheme and that makes difference in the overall look of the headphone. The built is quite sturdy so it’s durable too. The ear cups are denser and the hinges can be loose because of this reason. There is no clamping as such but you can feel a light pressure when you wear the headphone for a longer time. The headphone is reinforced with a plastic body and metal frame. The overall look and feel of the headphone is good if you compare it with other headphones for this price. It’s well-liked because of its looks. Sony WH-H900N headphone is a great sounding headphone. It excels in this department as the bass base gives you consistent performance. The audio is clear and there is no distortion in the sound. Its well-balanced treble makes it popular in its league. The mid-range of the headphone is quite well balanced and you will be able to hear the music clear. The low range frequency of the headphone is also good. The high range frequency sound depends on the type of music that you use. The overall performance of audio and sound is good. In fact, amazing sound makes this headphone stand out as compared to other models. The headphone has an amazing battery life that can last up to a full day with continuous music listening and noise cancellation mode on. In the standby mode, the battery will charge up to 6 hours. If you disable the noise canceling featured in the headphone, then the battery can also last up to 48 hours. It also supports passive playback and that makes a difference too. This feature can truly entice the music lover in you. The battery is the most important part of a wireless headphone. The headphone is popular because of its battery performance. The sound clarity is great. It’s good for the price. Noise canceling feature is average. Sounds can crack at times. It takes longer to charge. Is too big and has a plastic body. Sony WH-H900N headphone is an average headphone but with good sound quality. The noise-canceling feature of the headphone is not that great and that is one major drawback of the headphone. The bass range of the headphone is good with great drivers. The audio in lower and mid frequency is also good if you compare it with other previous headphones by Sony. It also suffers in charging. It takes too long to charge but once it’s completely charged it can work up to 2 days without the noise canceling. Look wise, its good, not too stylish and not too ordinary. It is comfortable to wear for a longer time. The audio reproduction feature of the headphone is also good. It’s indeed worth your money apart from noise canceling feature.